The new eToro Crypto-currency CopyFund gives you exposure to the two biggest digital currencies, Bitcoin & Ethereum, all in one easy-to-use portfolio. And this is just the start - Ripple, Litecoin and Dash coming soon. 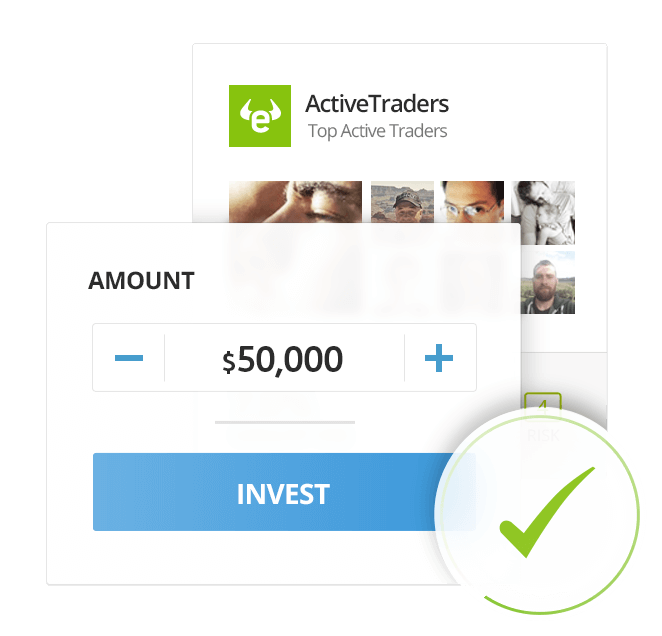 You can invest in two types of CopyFunds: Top Trader CopyFunds which comprise the best performing and most sustainable traders on eToro, and Market CopyFunds that bundle together CFD stocks, commodities or ETFs under one chosen market strategy. CopyFunds™ aim to help investors minimise long-term risk, promote opportunities for growth, by taking copy trading to the next level and creating diversified investments. Choose the CopyFund that fits your strategy. Each CopyFund is analysed in depth and rebalanced automatically to maximise the potential of returns for investors. As part of eToro's company vision to open the financial markets to everyone, we have invited our strategic partners to create their own CopyFunds. Join now and invest like the world’s leading financial analysis companies and top performing hedge funds*. We invite you to create your own CopyFund with us. *All trading involves risk; only risk capital you are prepared to lose. This strategy has been developed exclusively for eToro and may not replicate the exact composition or performance of the benchmark portfolio, subject to the instrument availability on eToro platform. 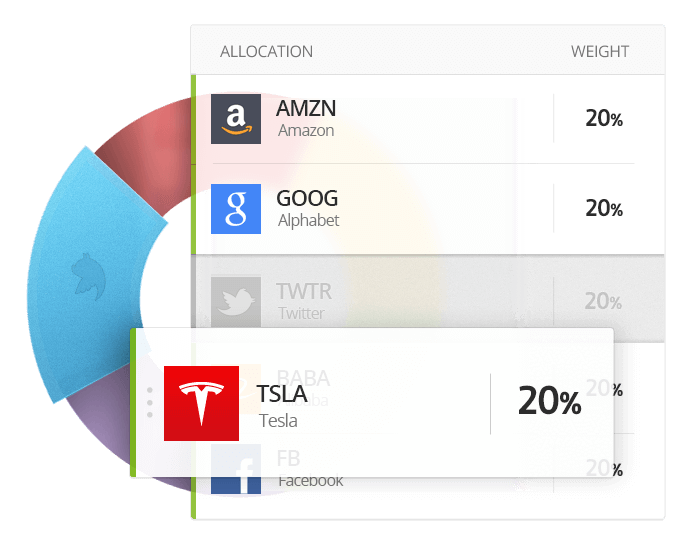 Rebalancing of the portfolio composition is done by eToro based on publicly available data and may be delayed. Past performance is not an indication of future results. This post is not an investment advice. CopyFunds are investment vehicles that bundle together a collection of financial assets. The assets are picked and re-picked, given a predetermined strategy. What’s the difference between Top Trader CopyFunds and Market CopyFunds? A Top Trader CopyFund is based on a trader-only portfolio, where each of the traders that are being copied as part of the portfolio, are selected based on the CopyFund’s strategy. For example, a CopyFund that aims to take only top-performing, long term stock investors, will pick those investors based on performance, with significant stock allocation as part of their portfolio. On the other hand, a Market CopyFund is comprised of financial assets only, and not traders, so its portfolio may consist of stocks, ETFs, indices, commodities, or currencies. CopyFunds operate like multiple traders, all working for you at the same time. As such, there are many underlying positions that are opened on your behalf. For that reason, the minimum amount needed to invest in CopyFunds is $5,000. How long should I expect to keep my money invested in a CopyFund? As opposed to a traditional investment house, there are no management fees associated with investing in CopyFunds. However, the underlying financial transactions initiated by a CopyFund incur eToro’s spreads. Visit this page to view our pricing. What returns should I typically expect to get by investing in CopyFunds? By definition, CopyFunds are meant to serve as a more conservative investment channel, and therefore aim to offer double digit, yearly returns, while mitigating the risk associated. However, and as with any investment in the capital markets, only invest what you can afford to lose. How and when is my CopyFund rebalanced? A rebalancing mechanism closes and opens positions periodically, to keep the asset allocation ratio, and maintain the CopyFund’s strategy. As the rebalancing period changes from one CopyFund to another, you may visit your CopyFund’s prospectus to know your CopyFund’s specific rebalancing frequency. CFDs are leveraged products. Trading in CFDs related to foreign exchange, commodities,indices and other underlying variables, carries a high level of risk and can result in the loss of all of your investment. As such, CFDs may not be suitable for all investors. You should not invest money that you cannot afford to lose. Before deciding to trade, you should become aware of all the risks associated with CFD trading, and seek advice from an independent and suitably licensed financial advisor. Under no circumstances shall we have any liability to any person or entity for (a) any loss or damage in whole or part caused by, resulting from, or relating to any transactions related to CFDs or (b) any direct, indirect, special, consequential or incidental damages whatsoever. Trading with eToro by following and/or copying or replicating the trades of other traders involves a high level of risks, even when following and/or copying or replicating the top-performing traders. Such risks includes the risk that you may be following/copying the trading decisions of possibly inexperienced/unprofessional traders and the overall risk associated in CFD trading or traders whose ultimate purpose or intention, or financial status may differ from yours. 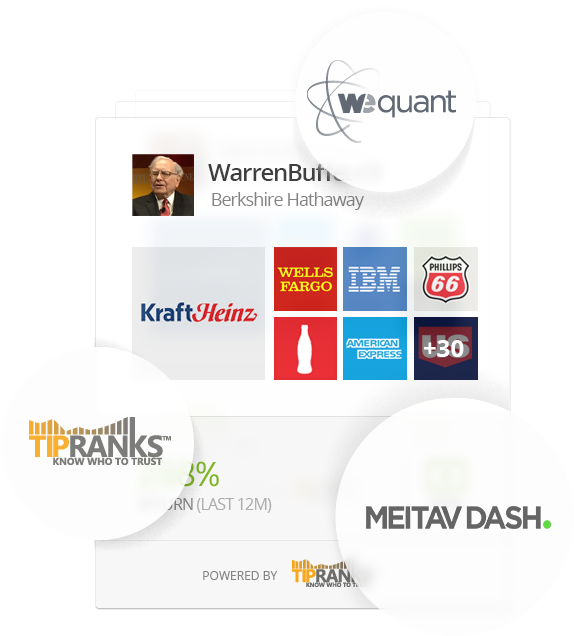 Past performance of an eToro Community Member is not a reliable indicator of his future performance. Content on eToro's social trading platform is generated by members of its community and does not contain advice or recommendations by or on behalf of eToro - Your Social Investment Network. 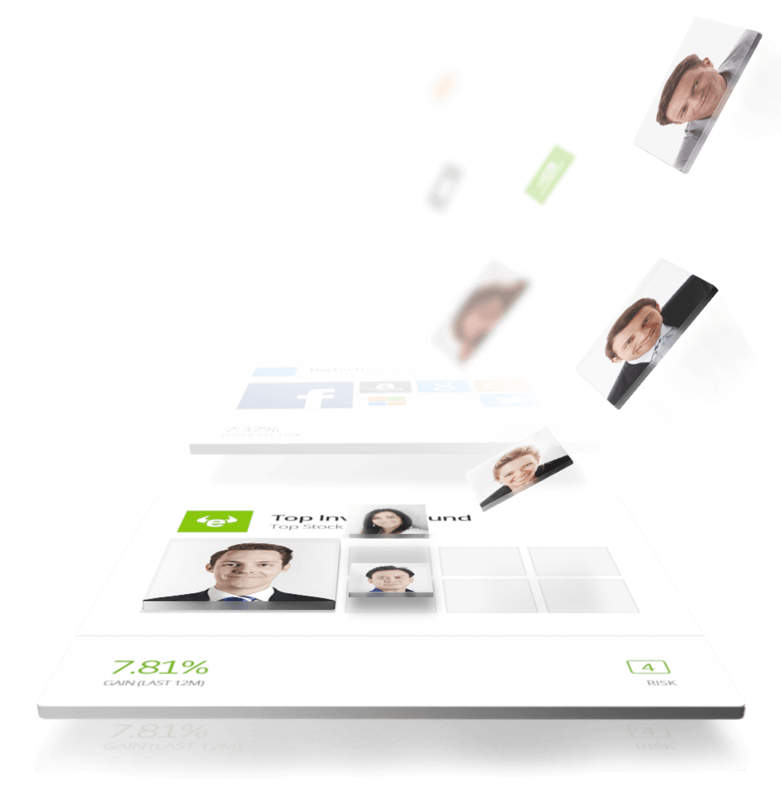 Copyright © 2006-2017 eToro - Your Social Investment Network, All rights reserved.